November is Diabetes Awareness Month, and what better way to acknowledge that month than to provide a guide on diabetes developed by Philadelphia Coordinated Health Care (PCHC). Diabetes is a condition that affects the way the body uses food as an energy source. Glucose (sugar) is derived from the food we eat and our liver creates and stores it to maintain normal glucose levels. The body produces insulin, a hormone released by the pancreas, which allows glucose to enter the body cells. Diabetes occurs when the body does not produce enough insulin or it can’t use the insulin that is produced. 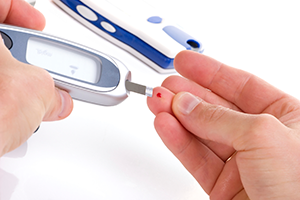 There are different types of diabetes such as: Type I, Type II, and Gestational diabetes. Prediabetes is also a growing concern that puts people at higher risk for developing diabetes, and is a precursor to Type II diabetes. According to the CDC, almost 30 million people have diabetes in the United States and currently 1 out every 3 adults will develop diabetes in their lifetime. The Diabetes Guide, presented by PCHC, provides individuals, families and support staff with useful information that can be applied to live a healthier, happier and longer life. Through this guide, one can learn about diabetes and tools to support an individual living with diabetes. helpful tips for living with diabetes. The purpose of this guide is to serve as a reference and assist with reducing an individual’s risk of complications that can stem from diabetes.